If you’ve recently bought some NOTL realty and haven’t yet had a chance to explore the area, now is the perfect time to do so. It’s summer, which means many seasonal activities are opening up. Here are a few of those activities that are recommended to tourists that you’re sure to love. The number one thing to do if you haven’t gotten a chance to do it yet is to check out Niagara Falls. People come from all over the world to see these magnificent falls, after all, and you’re lucky enough to have them in your backyard. Be sure to check out all of the classic Niagara Falls activities, including Maid of the Mist, which will bring you up close and personal with the falls. Also go see the falls at night, when they are lit up with a variety of colors that change from purple to yellow to blue and everything in between. There are also plenty of activities for your kids in the area surrounding Niagara Falls. These include arcades and rides like Ferris wheels and roller coasters. While you’re settling into your new NOTL home, be sure to take the time to see the magnificent falls. If you want to see something that’s not as well tread as Niagara Falls, there are plenty of options. Driving a little ways away from the tourist center of the falls will give you lots of choices. 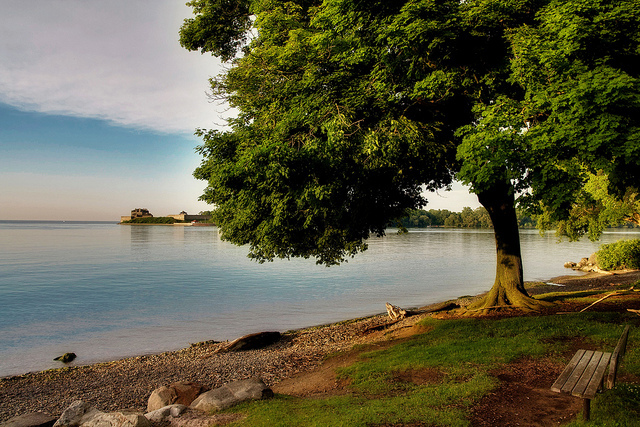 There’s Niagara-on-the-Lake itself, which is guaranteed to be close to your NOTL realty. The picturesque little town is perfect to walk around in. Plus, you might get to meet some of your new neighbors as you duck in and out of the old-fashioned shops. You can also head over to the Botanical Gardens and Butterfly Conservatory to see the blooming flowers and trees. If it’s a warm day out, this would be the perfect activity. If you want to avoid crowds but still see the best of what your new home has to offer, getting off the beaten path is a great idea. There are plenty of activities in the Niagara area that cater to those people who are only visiting for a few days. Just because you now live in the area doesn’t mean that you can’t also partake in these tourist activities. So be sure to thoroughly explore the Niagara Falls area and the areas around the falls. Soon, you’ll be an expert on the places surround your new home. And if you have any questions about your new home or any of these activities, contact me and I’ll help you out. This entry was posted in Blog, Uncategorized on July 17, 2017 by wp_admin.